Update: All thanks to a great suggestion by a friend, I'm also going to offer handphone straps to be paired with the pendant at the workshop! Details at bottom of post! 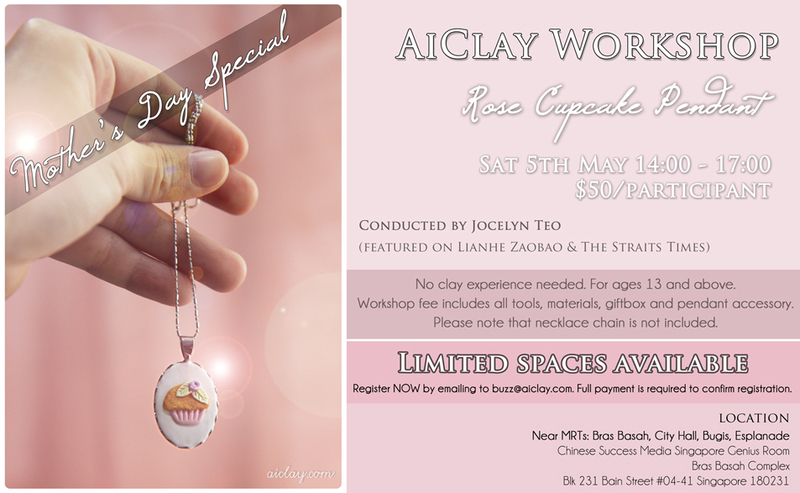 The rose cupcake pendant would be a sweet declaration of your love, and dainty enough to be worn by almost any woman. I'm pretty sure most mothers would love it, because my mom chanced upon it on my table and started gushing over it! Haha, okay that was some crazy generalisation but cupcake + light pastels + rose is some lethal cute combination! As suggested by a friend, I have decided to offer free handphone straps at the workshop. So now the rose cupcake can hang off your handphone or bag strap too! ♥ And it can easily be taken off and paired with a chain for a cute necklace when desired. Hope to see you at the workshop! ♥ Maybe I'll get my mom to go as well hmm. Beautiful! Any mom would be ecstatic to receive such a wonderful gift! Hi Jocelyn, are there any more seats available for the above mentioned class? 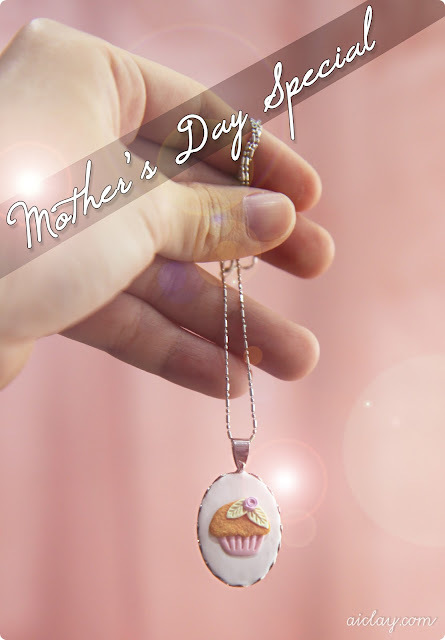 My friend & I are interested to join & to surprise our Mothers with such a lovely handmade gift. Jackie: awwww thank you! ♥ yes I would think so too haha. The most delicious way to learn colours. Christmas is early this year.